As you probably have figured out by now Operacion Muerto looks heavily to Mexican images of death, from Jose Posada’s image of the newspaper boys on bicycles (found on our first run of our hoodies) to this little gem created by Andrea. 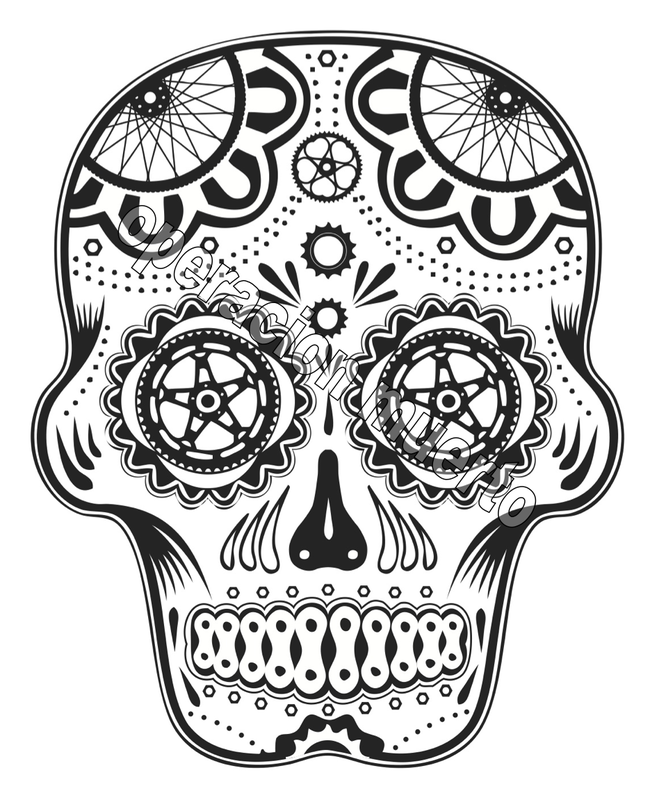 This sugar skull will be a incorporated on OM’s new jerseys, also being designed by Andrea (see Andrea’s awesome work on the Pure and Dark Red Racing jerseys). These new cycling jerseys will be filled with mystical powers that will keep you going deep into the night and far down the path, long after everyone else has lost their spirit. As soon as we have have finalized the design we will let you know how you can get yours. Oh, and not to forget our brothers and sisters who like to explore the other side of life on foot we have some great ideas for some technical shirts as well. As part of Operacion Muerto we must bring the 100 miler at spruce woods into play and maybe something in the Riding Mountain area. I like the design, I like the idea.. In.